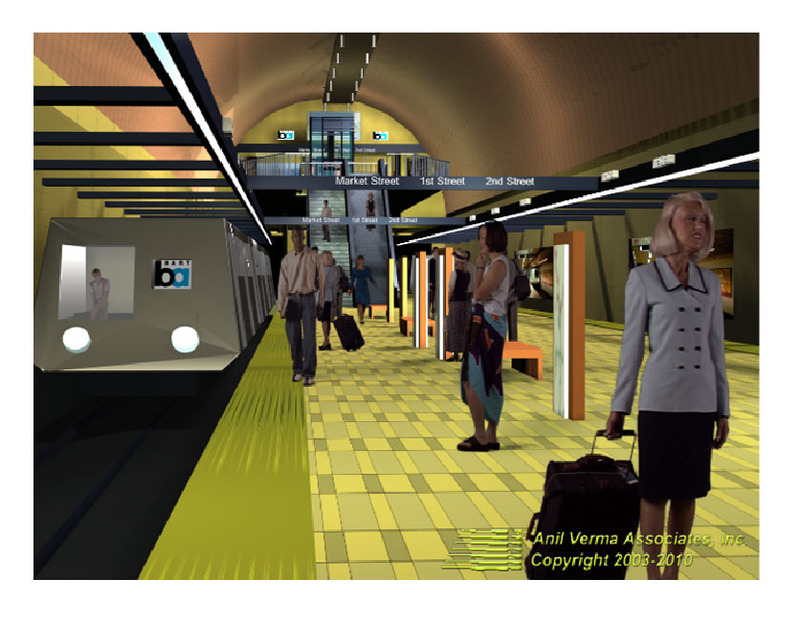 Anil Verma Associates, Inc. (AVA) is responsible for planning and architectural design of the Downtown San Jose Subway Station and its incorporation into the complex existing utilities and structures at the heart of San Jose. Each of the three Station entry portals has a unique situation. The main entrance portal will be located within an existing historic building and will require unique retrofit work to assure proper functioning and safety. Another entrance is being coordinated into the design of a condominium building and a third entrance will provide public access as well as access from a future major development. The design of the Station reflects San Jose as the creative and cultural center of the city in technology and the arts as well as its rich social, cultural and architectural history. Each portal will be uniquely designed with materials, forms and scale appropriate to its context. 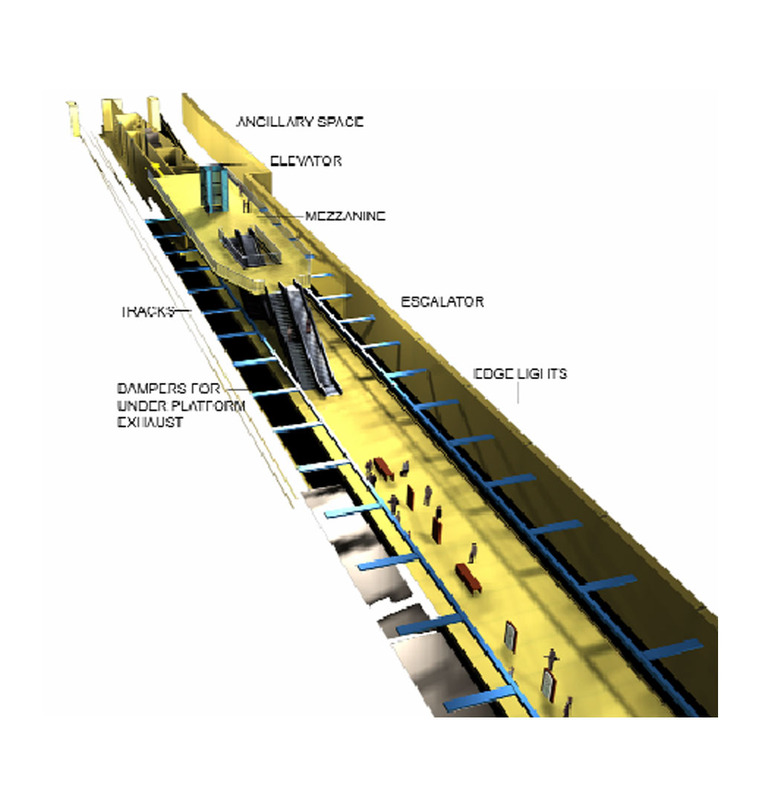 The concourse is the space through which passengers move on their way to the boarding platform. 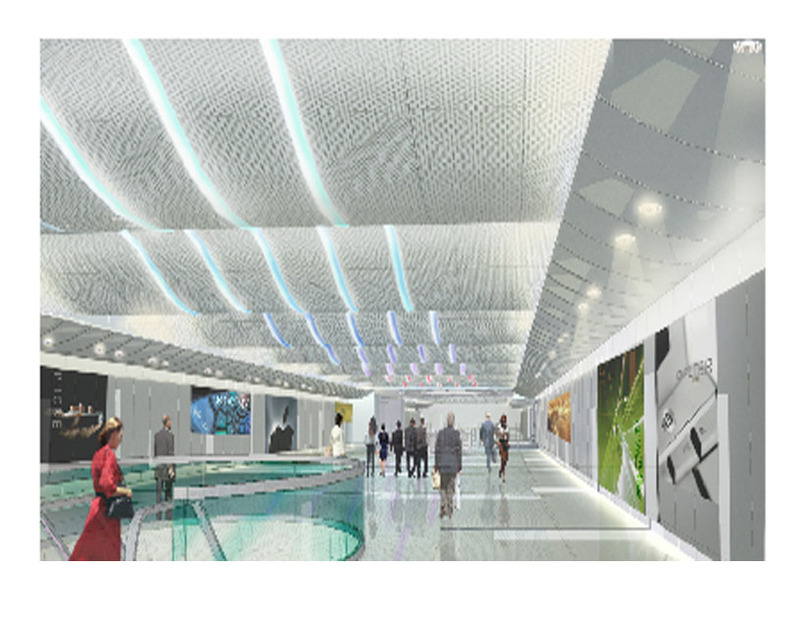 To enrich this area a perforated metal panel ceiling displaying a continuous wave extends through the length of the concourse and symbolizes the rhythmic dynamic change over time in Silicon Valley. 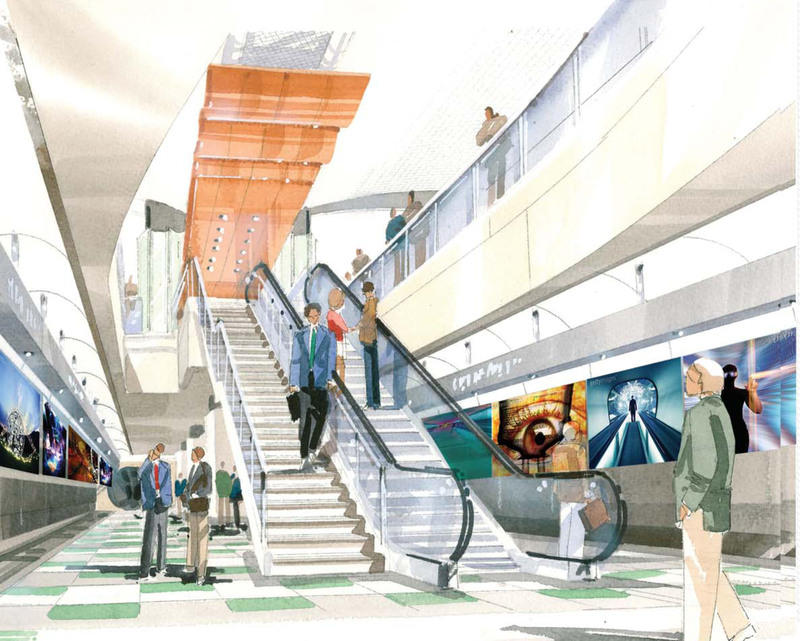 Passenger will move under this undulating ceiling to the elliptical openings of the stairs and escalators which will whisk them to the platform level. Enclosing the openings are curved glass guardrails that add to the smooth flow of passengers and symbolize openness to the flow of new ideas. The floor’s terrazzo finish will display an undulating pattern that is sympathetic to the curved elements in the concourse ceiling.